Steve Mullen has spent the past 10 years developing an online platform for teachers and students called MyLAMPA. Find out how the motto “Teachers Together” relates to this powerful networking platform. I live and teach freelance in Vsetín, which is a town of about 27,000 in eastern Moravia. 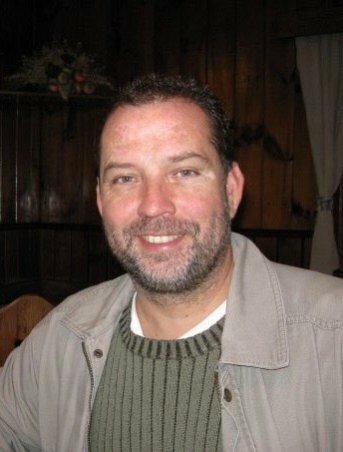 I’ve been teaching since 1991 and, with the exception of three years in the late ‘90s when I worked as a training course writer in Canada, I have spent my entire ELT career working in the Czech Republic. At the moment, it’s overwhelming. I start teaching shortly after 7:00 a.m. on most days. I teach 7-10 lessons a day, so it works out to more than 40 contact hours per week, but I do that out of necessity. I mostly teach individuals and I’m lucky that I’m established and known here so I usually don’t have to look very hard to find clients. I try to cram meetings with partners, MyLAMPA developmental activities and lesson planning between the lessons – the MyLAMPA application helps me deal with the teaching by cutting my lesson prep time. I usually get home after 7:00 p.m. and that’s when I try to find time to write articles, expand my network of contacts or plan out marketing ideas, which is also what I usually do on weekends. The MyLAMPA project is definitely my number 1 priority but it takes time and money to develop the platform and market it so, in spite of the fact that it is my life’s work, it seems that I have to teach more and more to keep it moving and to support my family – I’m really looking forward to the day when MyLAMPA becomes self-sufficient and I can reduce my teaching load. I really don’t have a lot of downtime at this stage, but I dream of palm trees, hammocks, and ice hockey – I know that two of those things aren’t compatible with the other, but that’s probably the Canadian in me. 5. You took on the challenge of developing a platform for language teachers and schools. Can you talk a bit about MyLAMPA? It’s my favourite subject, so I could go on and on, but maybe I’ll just explain how the idea evolved and what we want to accomplish. The genesis of the idea came about roughly 10 years ago. At that time, I had dozens of resource books, a big ugly olive-green filing cabinet stuffed with file folders and an activities directory on my computer with hundreds of ideas, but I could never remember where I had seen the activity I was looking for or with which students I had already used it. The plan was to create an electronic storage and indexing platform where teachers could save their favourite learning activities, retrieve them with a click and track which ones have been used with which learners. Then I decided that it would be useful to be able to import activities directly into a printable lesson plan template. Once we had the lesson planner, we needed timetables through which the lesson plans could be accessed, and why not track attendance, homework and vocabulary taught while we’re at it? And if the students could have access too, they could track their courses, play mobile learning games and add their own vocabulary to a personal mobile interactive dictionary. And since I was running language schools in three different towns at the time, it seemed logical that if we had all of this great information and connectivity, we should add more LMS functions and reports for the language schools and clients. And, hey, why don’t we add a professional networking platform for teachers so they can support each other and share their activity ideas remotely? So that’s what MyLAMPA means, My Lesson & Activity Management, Planning & Access. The idea evolved and, as MyLAMPA took shape, we realized that what we were really doing was providing a platform that could bring teachers together and give freelance teachers and smaller language schools the tools they need to teach their potentials and to give their clients the kind of support and service they need but at the same time, the platform is so flexible that the users can use it in almost any teaching context and retain their unique approaches. I’m not a big fan of anything that is standardized at the expense of creativity and flexibility. 6. It sounds so complex. How long did it take you to develop the platform? The original prototype was developed, and used almost exclusively, in our own language schools from 2004 to 2009. In 2009, I left the schools and decided to devote my energy to MyLAMPA. So I persuaded a former student, who is a very good programmer, to join me. However, in 2010, we were awarded an EU project to develop a virtual classroom and teaching and study materials for online language teachers, so MyLAMPA development had to be interrupted until December 2013; we hope to marry the two projects in the future. The current version of MyLAMPA has been in development since January 2014. We are just now releasing it on a larger scale. We have been constantly evolving in terms of our business model. At present, the LAMPA prototype is online and free for anyone to use at mylampa.com. We have a new talented young programmer working on a new, improved commercial release and hope to release the new minimum viable product (MVP) in the Spring of 2019. At the moment, we are enlisting teachers and schools to log on and use the old product. When the new one is ready, we will change them over and they will be our first testers for the new system. 7. Where can teachers and students purchase MyLAMPA? 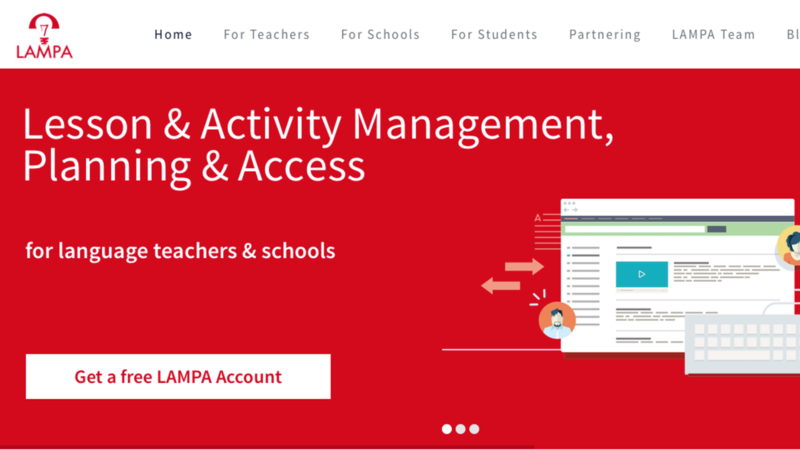 The platform is free for teachers and schools – they can sign up on www.mylampa.com Students can get the free LAMPA Learning app on the Google Store or the App Store. When teachers or schools invite students to connect from within the platform, the student can buy a license through the email invitation. 8. Do you have any plans for a follow-on? Along with the virtual classroom, we are going to add a curriculum module so teachers can match lesson outcomes with curricula. We’re also going to add a teacher locator function to help learners find local or online teachers and schools that use MyLAMPA. We’re also going to listen closely to our partners and their students to make continual improvements and additions. 9. How do you promote or market MyLAMPA? I have been trying to grow networks of contacts on LinkedIn, Facebook and Twitter. I’ve also been writing practical ELT articles and posting them on social media and having them published on www.hltmag.co.uk I hope that this will help us establish an element of credibility – there are so many services out there, I suspect teachers and potential partners don’t know who to trust. So this is the difficult part – potential users, or partners, need to know that MyLAMPA is the real deal and it’s not easy to communicate that. Starting in early 2017, we are going to intensify social media advertising and use email contacts to inform teachers directly. We see teachers and schools as potential partners in the venture, so we have developed a “Peer-to-Peer Partnering” model. Once a teacher registers, he/she is a MyLAMPA partner and can invite other partners using the Invite Peers function in the app. At the moment, we are actively looking for “primary partners” who are influential and motivated teachers or teacherpreneurs to spread MyLAMPA within their respective circles around the globe. We need to encourage teachers to spread the idea for us – we simply don’t have the budget to do a traditional marketing campaign, but we can pay partners to do the marketing for us. In effect, we will pay users for benefiting from the tools MyLAMPA provides – we think that is a cool idea. 10. Where can people find you on social media? 11. What skills did you gain from classroom teaching that have allowed you to excel as a teacherpreneur? Necessity is the mother of invention, as they say. I remember at university, a lot of my classmates complained about having too much theory and too little methodology. Since then, developing learning activities has always been interesting to me and I see it as the creative side of teaching. As I’ve said, the problem with accumulating these ideas was keeping track of everything I’d ever found or developed – that’s really where MyLAMPA has its origins. 12. What advice would you give to teachers who are considering becoming a teacherpreneur? It takes a lot of work and energy and you have to find ways to stay positive and focused. George Carlin said it best, “Don’t sweat the petty things and don’t pet the sweaty things.” Also, commitment and determination are important. The trouble is that sometimes it’s hard to know the difference between determination and stubbornness, so be determined but try not to be stubborn. As far as the comfort zone is concerned, I don't like selling because I get the feeling that I'm bothering people - I'm also not big on presentations or mingling at conferences. In terms of developing methods and publishing ideas, I guess that’s what we are trying to encourage teachers to do with MyLAMPA as well. Make contacts, share ideas, be creative and look for inspiration. The whole principle is to have teachers go out on a limb and share their own activity ideas and to inspire others. In terms of starting a new business, do a little objective research and if you find that people like your ideas, go with them. Write a business plan and revisit it often. For me, when I feel myself starting to lose focus, rereading my ideas and writing refinements re-energizes me and keeps me directed. 15. How were you able to teach and develop MyLAMPA same time? Can you share a productivity tip? It’s easy to see why most entrepreneurs are young people. When you have a family and a lot of other obligations, it isn’t easy to find the time or money to do other things. The LAMPA idea originally came when I was managing a language school as a tool to consolidate learning management and our resource center and to help teachers work more efficiently while providing better continuity. When I saw the full potential, I gave up the language school and started teaching independently to pay the bills while developing LAMPA. But I am very dependent on programmers and partners with the technical skills needed. In short, it has been a very difficult road with slow progress. As I’ve mentioned, we’re actively looking for “primary partners” all over the world. If you would like to get in on the ground level, use MyLAMPA’s features and tools, and supplement your regular income, please let us know. We’d be delighted to have some good people on board who share our vision. The are no conditions or risks and we think the potential to improve and earn is significant for all partners. And I would like to thank you, Patrice, for the opportunity to share our vision with you and your readers. Just making new contacts and sharing ideas is a great way to promote a venture in language education, so we really appreciate your reaching out to us. It has been my pleasure connecting with a fellow Canadian, ESL teacher and teachepreneur. All the best. Keep us posted on any future developments.